Do you want to get better at reading a certain situation and adapt the way you lead to meet the actual needs of your co-worker? Then you’re not alone. Situational Leadership will give you the knowledge and tools you need. We are all unique, with different sets of characters, skills and needs – and the diversity is what makes us strong together. But it also provides you with challenges as a leader. Why isn’t your co-worker performing the way you expected? Is it because he or she doesn’t have the ability or is it lack of will and determination? Could you act differently as a leader by changing the way you lead, to get your co-worker back in the game and perform? Which sets of skills do you need in order to adapt your style? 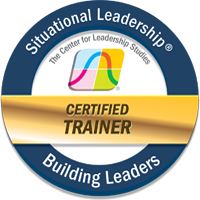 This training course is based on Paul Herseys Situational Leadership Model, which over the years has become the one of worlds most recognized and utilized leadership tool. Situational Leadership is about leading by influencing and developing your co-workers abilities to perform in a given situation. In order to do so you must be able to recognise your co-workers needs, ability, skills and will to perform in the given situation – and adapt your way to lead, motivate, instruct and support the individual in their task. Managers and leaders at all levels who wants to be able to use different ways to lead in order to meet the diverse demands of modern organisations.